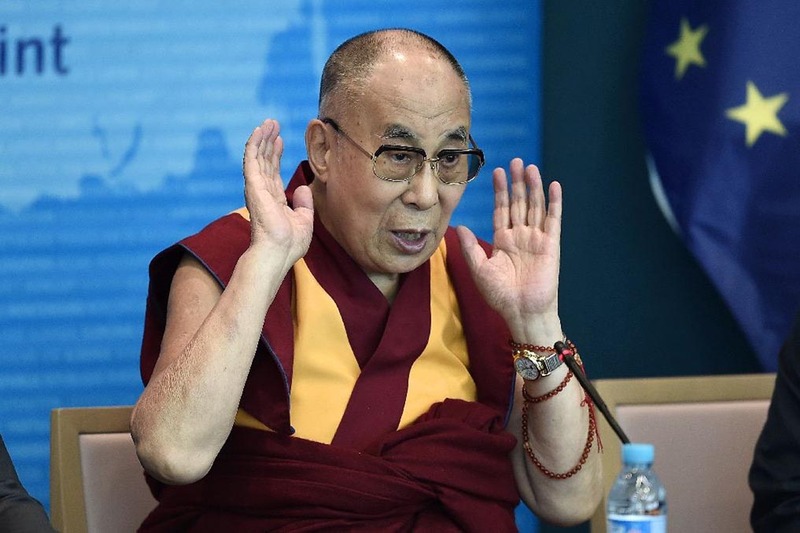 China slammed the European Union’s parliament Monday for receiving the Dalai Lama, saying the move could damage relations between the EU and the world’s second largest economy. In remarks at the European Parliament in Strasbourg Thursday, the Tibetan religious leader called on the EU to offer “constructive criticism” to China on the issue of Tibet. The Dalai Lama fled to India after a failed uprising in 1959, but is still deeply revered by many Tibetans in China. Beijing vigorously lobbies against foreign leaders meeting the Nobel Peace Prize laureate “in any form” and accuses him of being a “wolf in monk’s robes” who seeks Tibetan independence through “spiritual terrorism”. The Dalai Lama arrived in France last week, his first visit to the country in five years. He urged European politicians to offer China constructive criticism on Tibet “at a time when Chinese leaders, even hard-line partisans, are facing a kind of dilemma over how to deal with this problem”. Though the trip focused on inter-faith dialogue, environmental issues and Tibetan culture, the religious leader did not meet with any French officials — a notable side-step likely intended to avoid raising Beijing’s ire. China is being upset whenever His Holiness the Dalai lama visits other countries. It clearly indicates that they have no intention of resolving Tibetan issue through peaceful dialogue. China is flexing its military muscle everywhere and doesn’t believe in non-violent ways to address the concern of ethnic minorities and other nations with whom it has territorial and maritime disputes. We can be sure that rising China is not going to be a friendly and peaceful nation in this century. There is real risk of armed conflict in the Asia-Pacific region due to China’s aggressive posturing. His Holiness the Dalai lama and his followers are unarmed and very peaceful, and therefore China has nothing to be apprehensive about them. New China should respect other people and learn to value life. as it is the most precious gift of God. It’s important that China commensurates its reemergence as a growing superpower with understanding, instead of commiserating self on the Dalai Lama’s relentless endeavor for fundamental human rights and authentic autonomy, not adulterated autonomy. Can EU be the conduit and broker a dialogue between China and the representatives of the Dalai Lama? If China wishes to become a real superpower then she needs to behave like one, instead of throwing tantrums like a crybaby on the global platform.